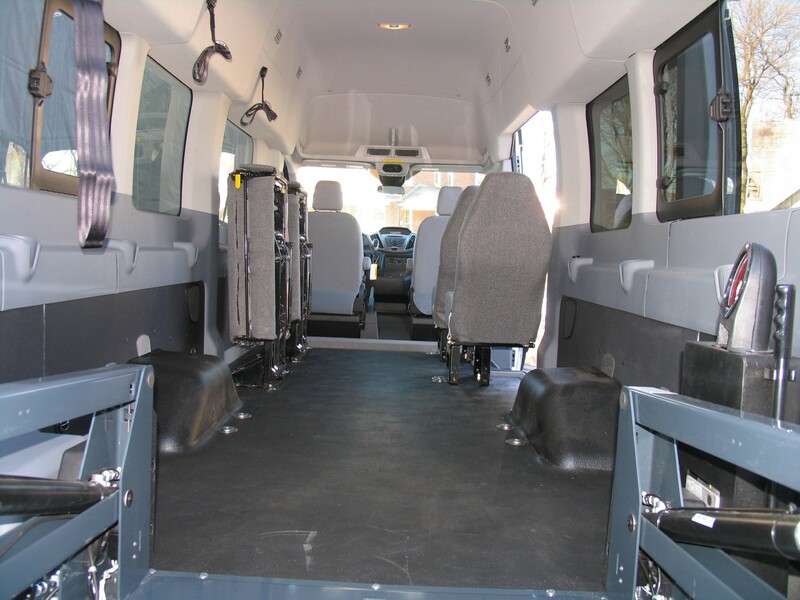 Customizers is proud to announce our new line of conversions for the Ford Transit van. 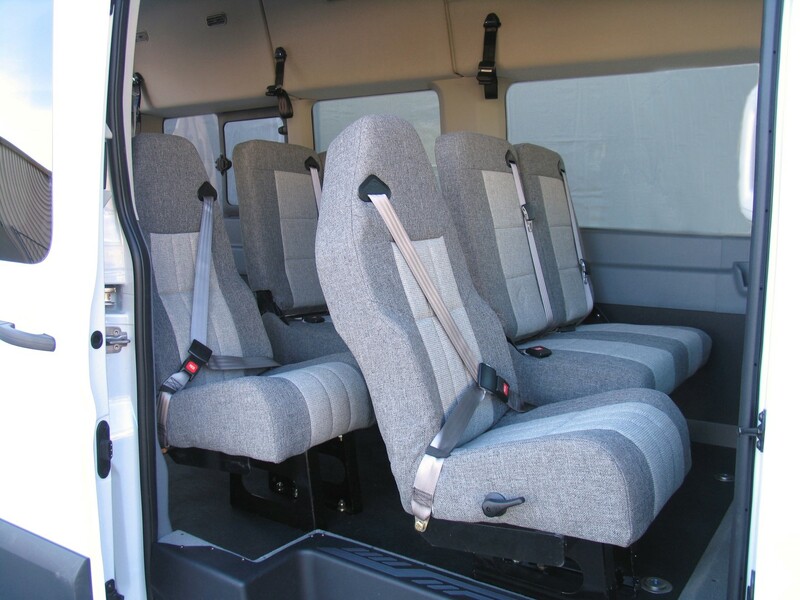 Seating capacity from 3 to 15 passengers. 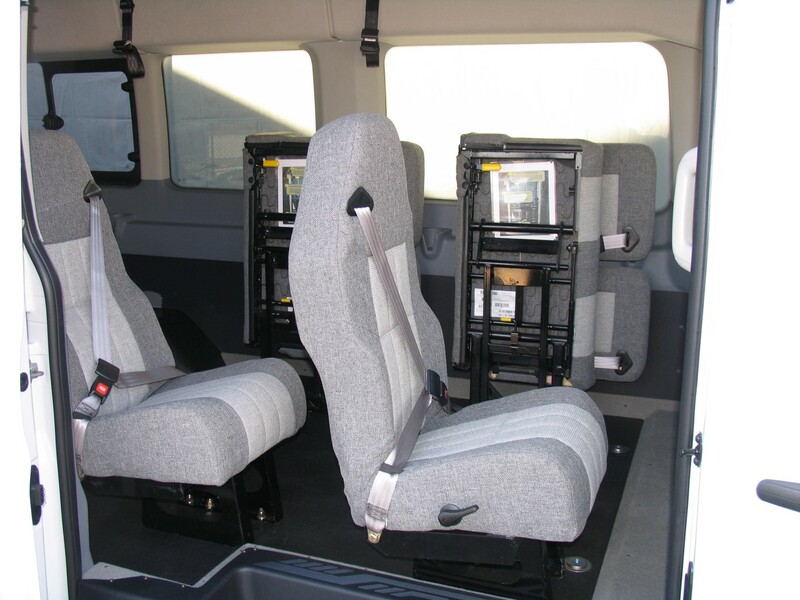 Meets and exceeds all FMVSS certification. 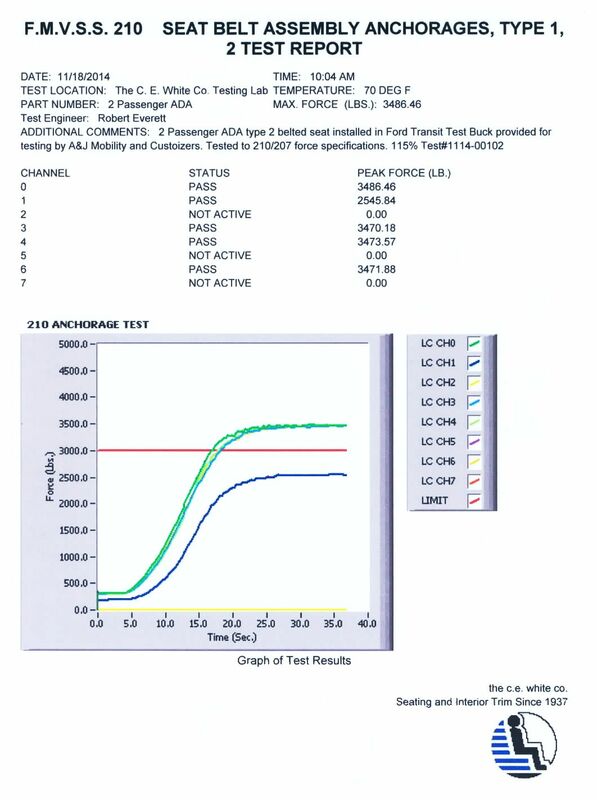 Complete crash test documentation available on request. 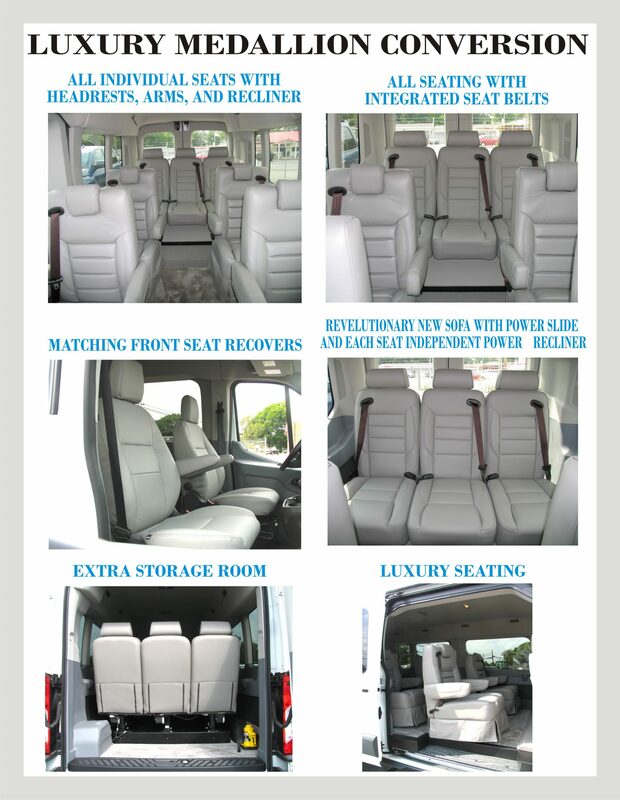 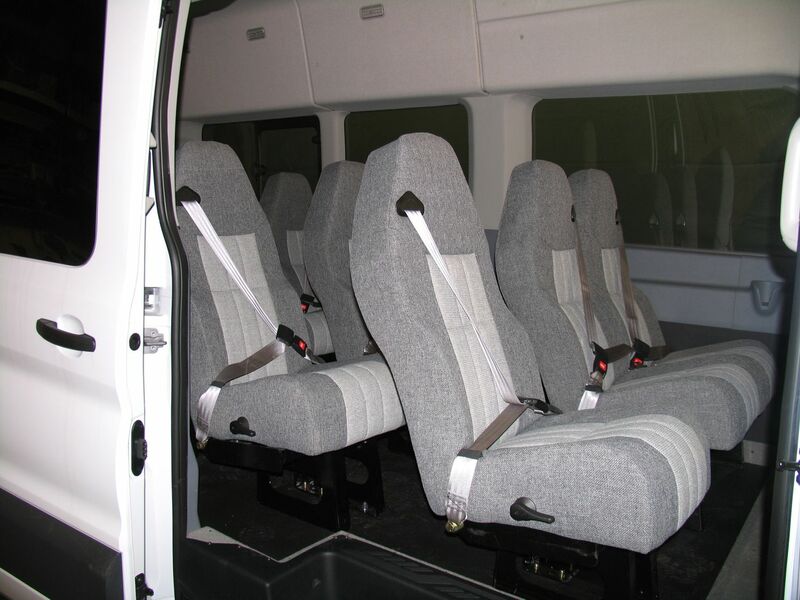 Seating packages for plumbers, electricians, colleges, churches, commuters, and everyone in between. 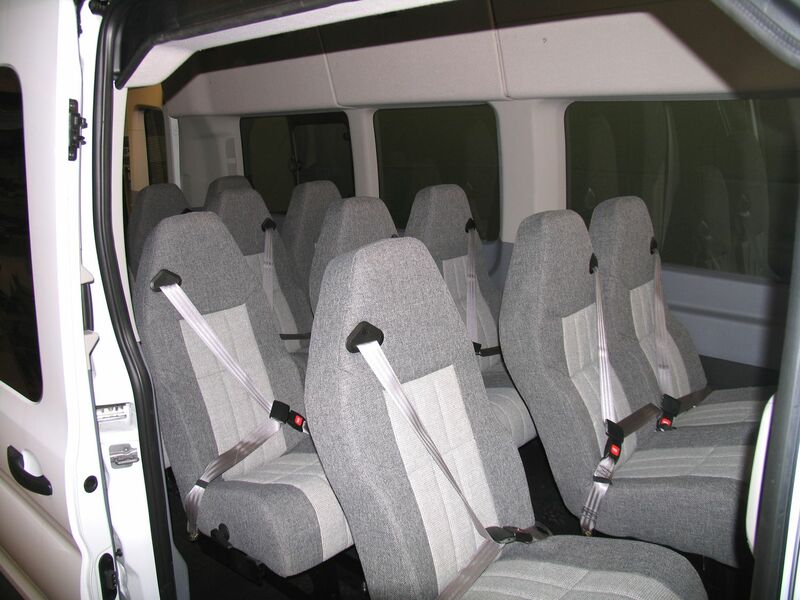 Customizers meets all FMVSS certification to manufacture a 10 passenger MPV to transport K through 12 school children. 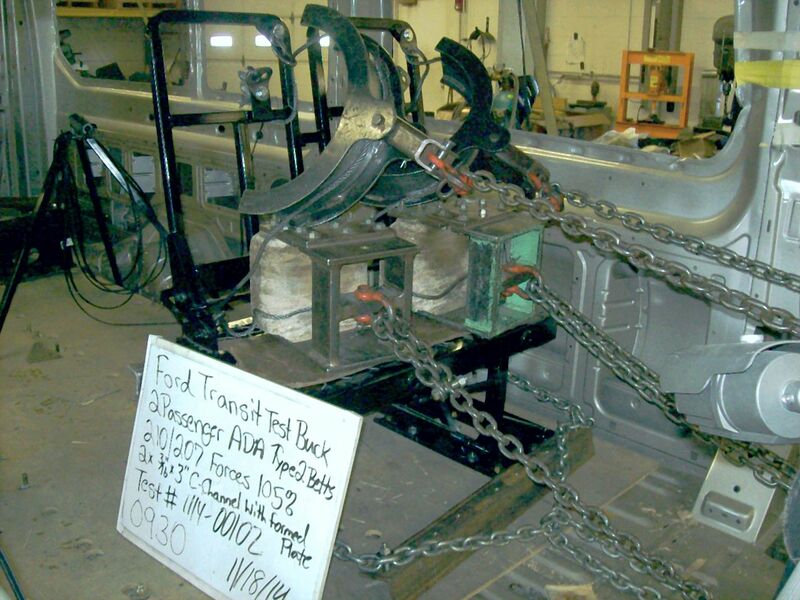 ALL TRANSIT CONVERSIONS MUST BE BUILT ON TRANSIT WAGON MODELS.